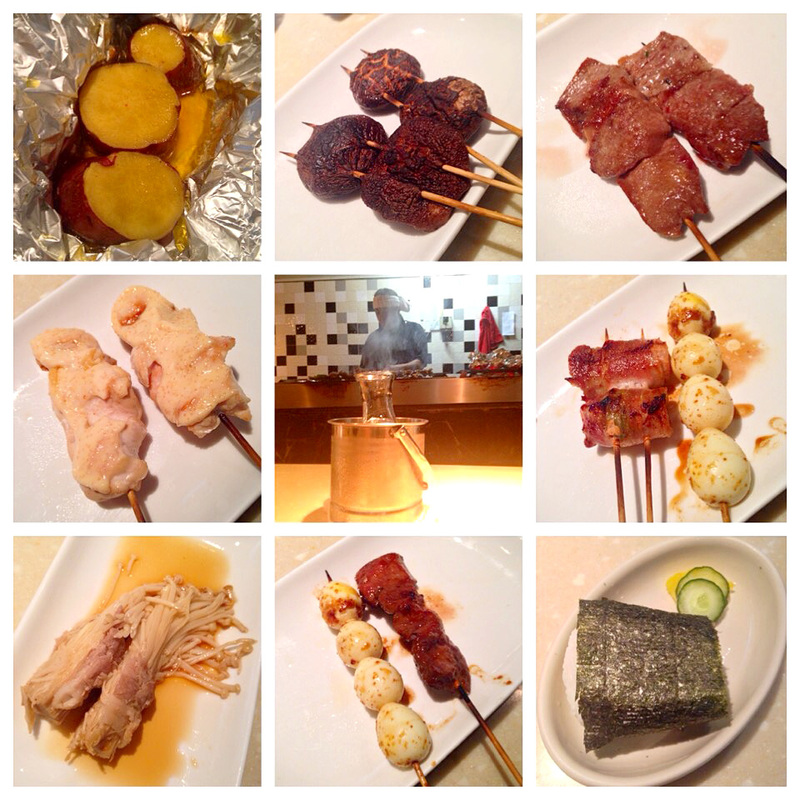 This place has been around for years, it's probably the best Yakitori place in town. 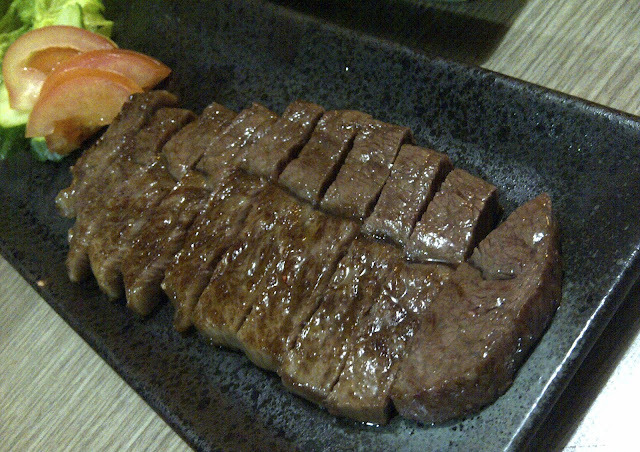 I've probably tried almost everything in the menu and some other items off menu like their Wagyu beef sirloin which is flown in all the way from Japan, seasonally. You can always ask for the specials of the day off menu (these are usually written on the board, some characters I can't read, presumably Mandarin/Japanese). View from the bar. You'll get to see what he's cooking, how fun is that. 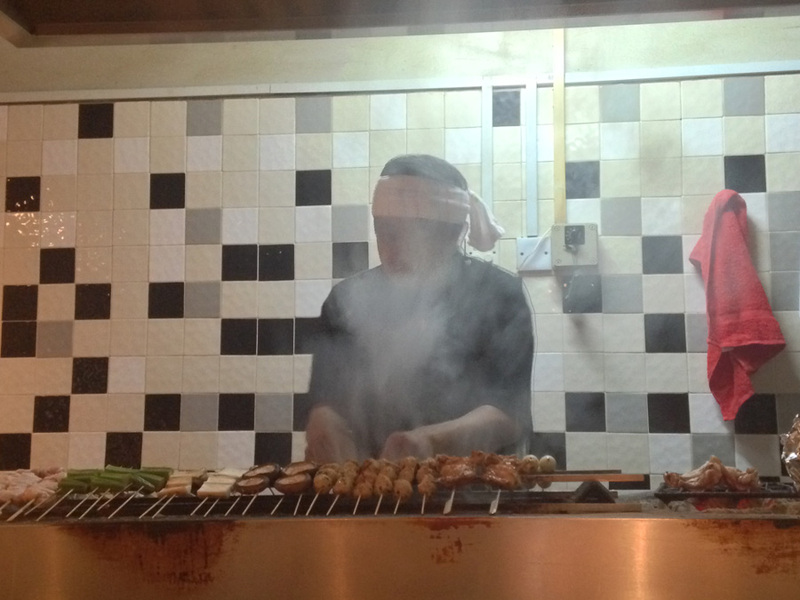 Because the food smells so good, you'll leave smelling like a Yakitori too. All in all, there are a few items I would definitely order whenever I visit. The ox tongue, sweet potato and chicken mentai. My stomach space is absolutely limited, therefore I would usually get the above mentioned and some other items depending on my mood/appetite. The pictures above are the compilation of skewers I've had over the last couple of trips. Please do take note that reservation is absolutely needed as the place is small and often fully booked. Don't be too late as they tend to run out of chicken breast meat, ox tongue and quail eggs as it gets later! 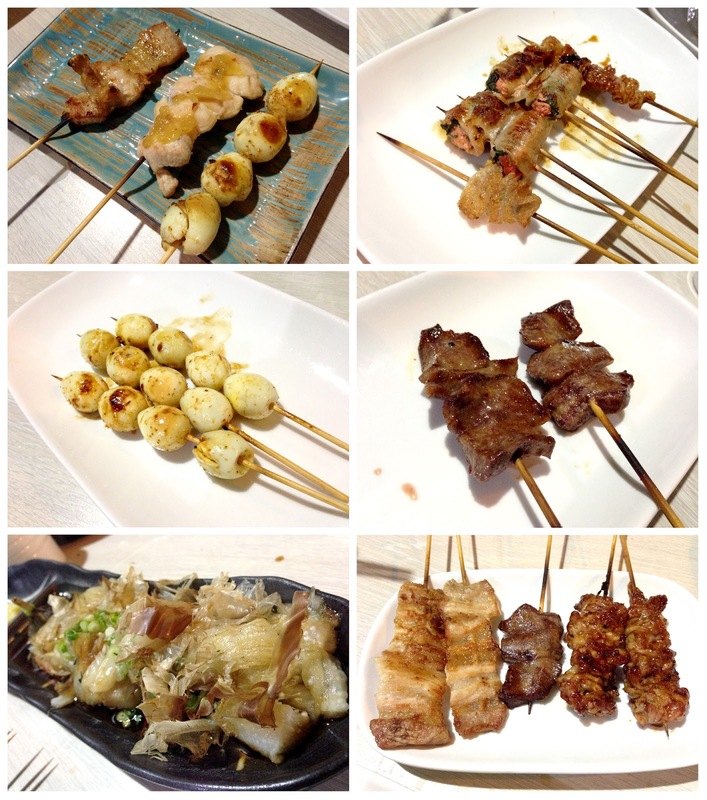 You won't have your dose of Yakitori anywhere else in KL apart from Sumi-Ka's because they are just that good!